Key Club Blood Drive: Any MHS Students or Staff interested in donating blood THIS FRIDAY, April 20th needs to sign‐up with a Key Club member or email Mrs. Keltner at jen.keltner@mcsdonline.org. All donors need to have a scheduled time between 8:00am-1:30pm. Meeting Location Changed: Students meeting with Morris and Tech on April 17th will meet in the Library Cafe from 9-10am. Interested in making a difference in your school and community? Join Student Council! The 2018/2019 StuCo application packets are at the Attendance Office for pickup. 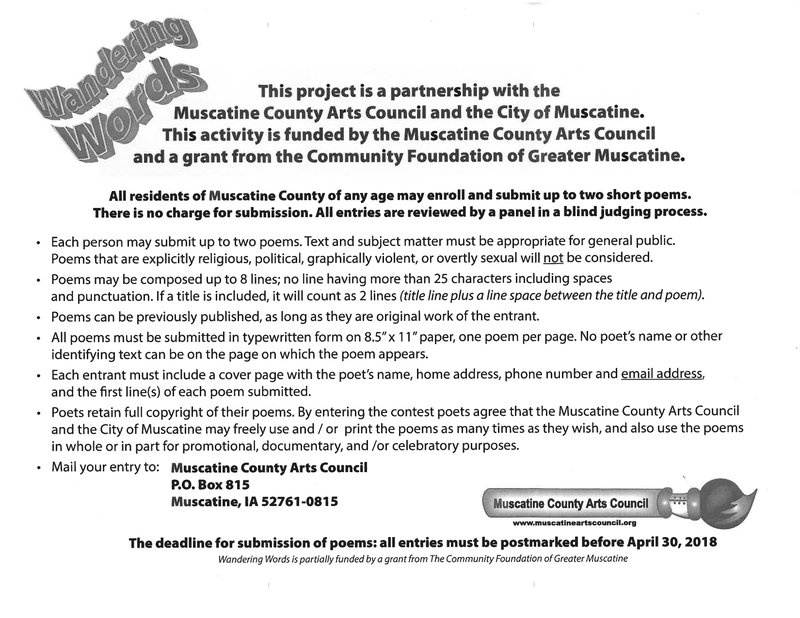 Completed applications are due to Mrs. Walsh, room 12-008, on Wednesday, Apr. 18 at 3:30pm. Interviews will be scheduled at a later date. 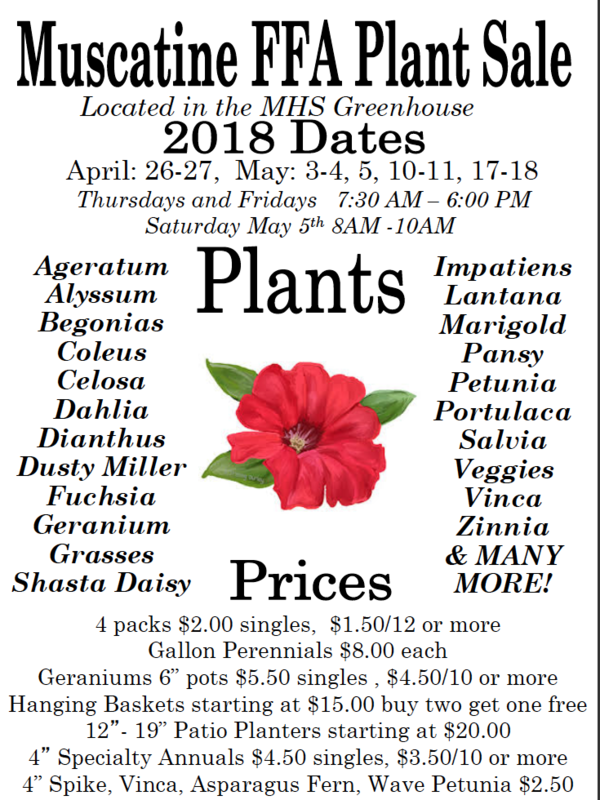 Please speak with either Mrs. Fallon or Mrs. Walsh if you have questions. 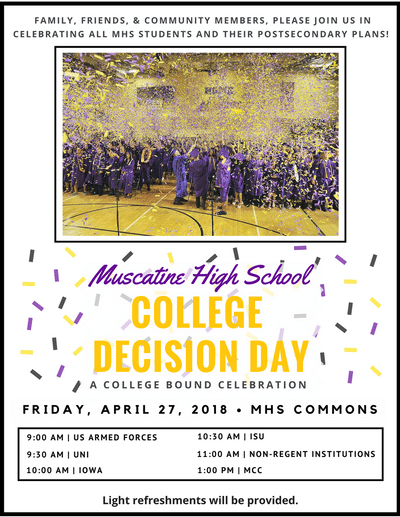 Seniors/Family: Please join us for College Decision Day on April 27, 2018 in the MHS Commons. Come and join the celebration to recognize your post-secondary plans. All high school seniors planning on attending a degree or certificate program or are entering the military.